Often housing is do not have services such as sanitation, water or electricity. The settlements are usually very overcrowded. 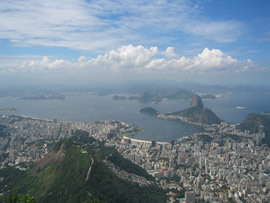 Rio de Janeiro, Brazil is an example of a city with a large area of shanty settlements or favelas. Rio de Janeiro is a city located on Brazil's south-east coast. It is one of Brazil's largest settlements with a population of approximately 11.7 million people. 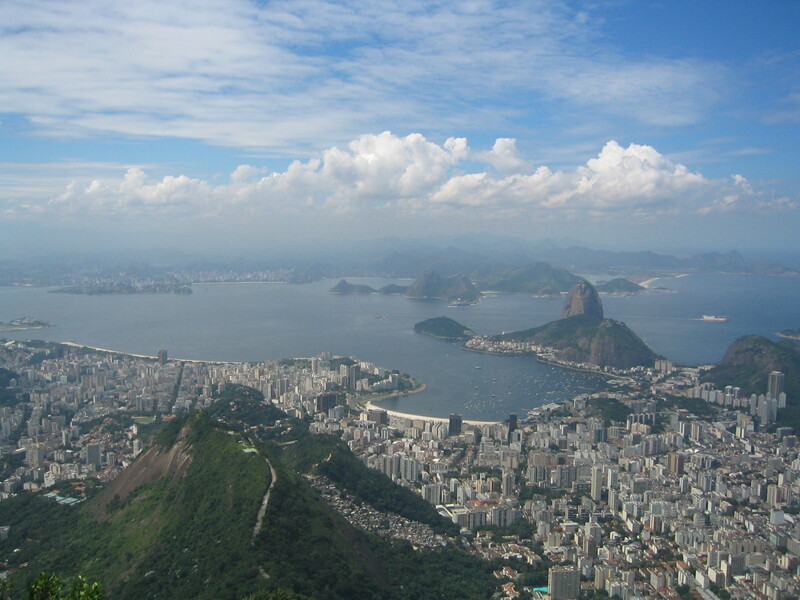 The population of Rio de Janeiro has grown for a number of reasons. Natural Increase is one reason for its growth (this is when the birth rate is higher than the death rate). The population has also grown as the result of urbanisation. The has been caused by rural to urban migration. Millions of people have migrated from Brazil's rural areas to Rio de Janeiro. 65% of urban growth is a result of migration. This is caused by a variety of push and pull factors. The rapid growth of Rio de Janeiro's population has led to a severe shortage of housing. Millions of people have been forced to construct their own homes from scrap materials such as wood, corrugated iron and metals. These areas of temporary accommodation are known as favelas in Brazil. The conditions associated with favelas are very poor. Often families have to share one tap, there is no sewerage provision, disease is common and many people are unemployed. Favelas are located on the edge of most major Brazilian cities. They are located here for a number of reasons. Firstly, this is the only available land to build on within the city limits. Secondly, industry is located on the edge of the cities. Many people need jobs therefore they locate close to factories. Some of these settlements may be 40 or 50 km from the city centre (on the edge of the city), along main roads and up very steep hillsides. Rocinha is the largest favela in Brazil. It is located in the southern zone of the city. It is built on a steep hillside overlooking the city, just one kilometer from the beach. It is home to between 60,000 to 150,000 people (though this could be more). The authorities in Rio de Janeiro have taken a number of steps to reduce problems in favelas. They have set up self-help schemes. This is when the local authority provide local residents with the materials needs to construct permanent accommodation. This includes breeze blocks and cement. The local residents provide the labour. The money saved can be spent on providing basic amenities such as electricity and water. Today, almost all the houses in Rocinha are made from concrete and brick. Some buildings are three and four stories tall and almost all houses have basic sanitation, plumbing, and electricity. 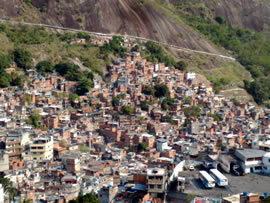 Compared to simple shanty towns or slums, Rocinha has a better developed infrastructure and hundreds of businesses such as banks, drug stores, bus lines, cable television, including locally based channel TV ROC, and, at one time, even a McDonalds franchise, though it has since closed. These factors help classify Rocinha as a Favela Bairro, or Favela Neighborhood. Not all people living in Rio de Janeiro are poor. Many wealthy people live close to the CBD.